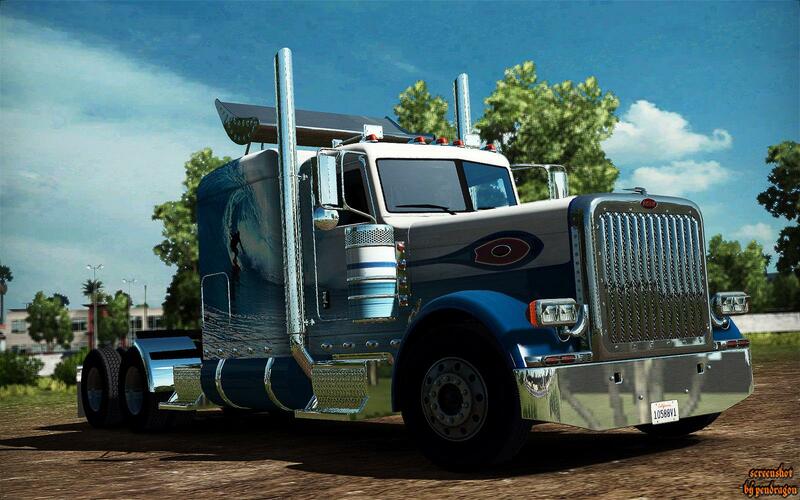 Added 2 more bumpers for Peterbilt 389. Added 2 more fenders for Peterbilt 389. 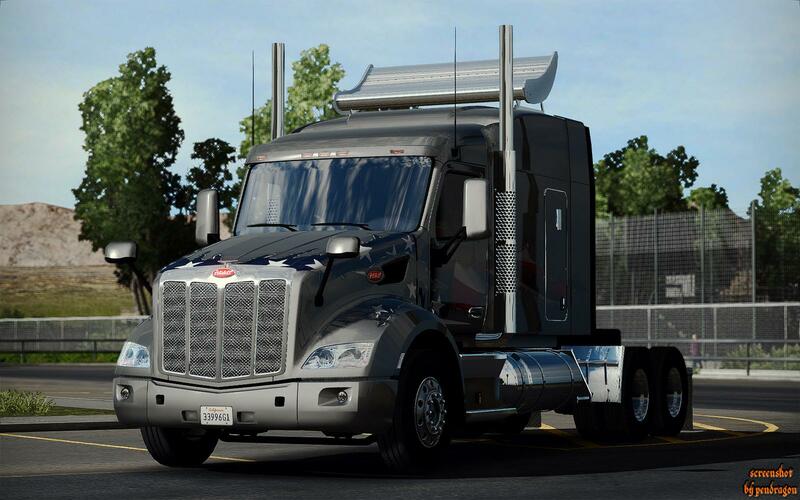 Added hood accessories for Peterbilt 389 and Kenworth W900. 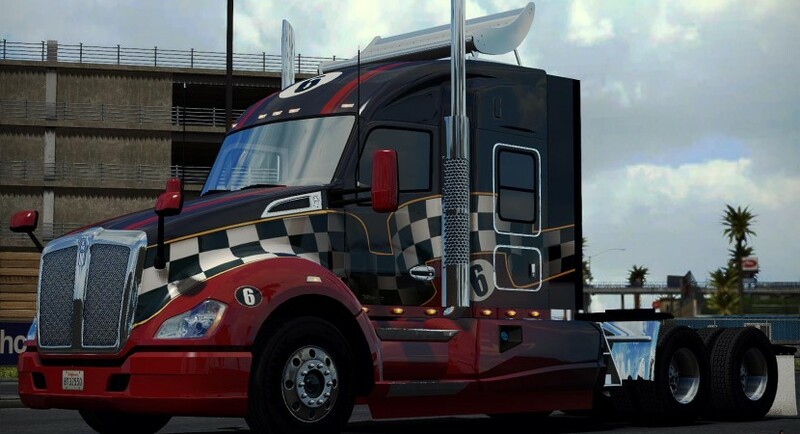 Added fendertrim to all trucks. 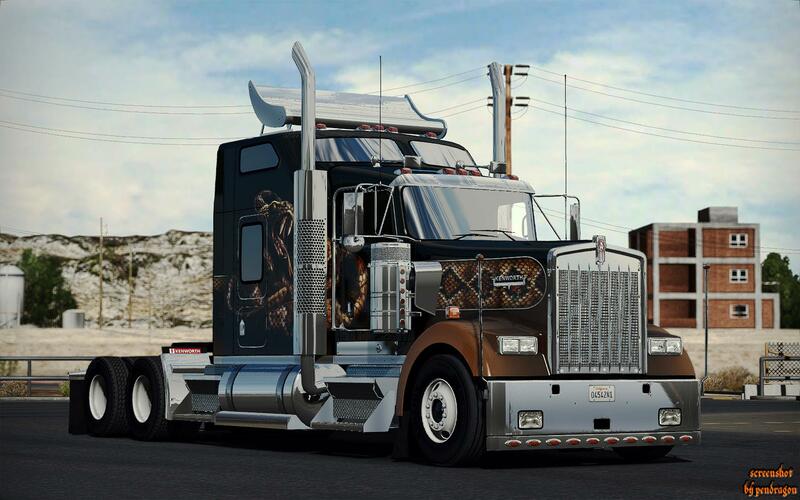 Added “Air Cleaner Pipe” for Kenworth W900 and Peterbilt 389. 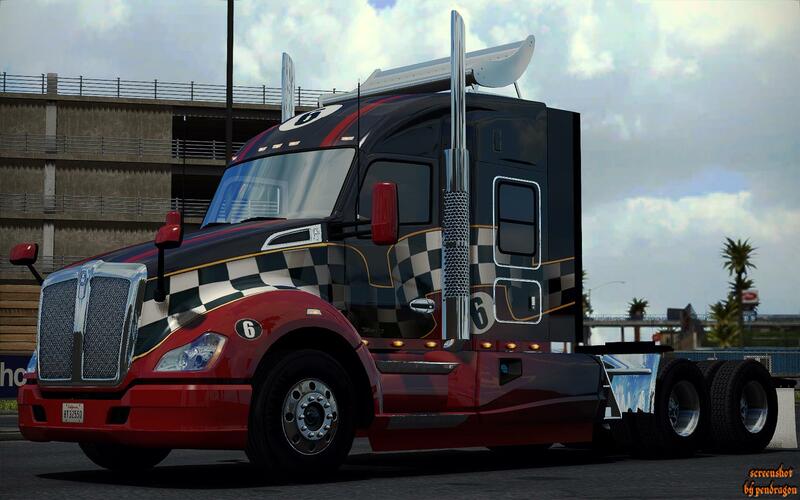 Added LED and DRL stripes on Kenworth W900 and Peterbilt 389 headlights. Some changes on models and def’s. New glass deflector for all trucks. Fixed missed side mirror on Kenworth W900 interior. Thanks to all who made hood accessories!! !